Thursday, December 20, 2018 at 12:50 pm. Most of my points strategy focuses on amazing free travel. That’s where the experience feels most worth the effort, and where I get the most value. But sometimes — rarely! — a card comes along where the cash-back deal is good enough that it can’t be ignored. That’s why the Cash Card from Square is one of the few cards I added to my wallet this year. It’s part of the Cash App, and if you sign up for free here and send someone $5, we’ll both get $5. The Cash App is sort of like Venmo. It’s a digital wallet that lets you send money to friends and businesses using their phone number, email, “cashtag,” etc. You can add money to your Cash App balance using your bank account, as you’d expect. It’s simple and elegant, and is turning into a big hit for Square. Last year, Square launched the Cash Card, a Visa debit card that lets you pay for things in stores and online with your Cash App balance. It’s all prepaid, so there’s no credit or credit check involved. Cash Card purchases don’t earn points, but there’s a clever feature called “Boosts” that gets you an instant rebate. For example, at coffee shops, you can get $1 back on any purchase that’s more than $1.50. Or you can get 10% back — up to $7.50 — on purchases at Chipotle, Taco Bell, Domino’s Pizza, Chick-fil-A, or Whole Foods. The coffee Boost is pretty great. So far, I’ve used it 67 times to earn $67. It usually covers my dollar tip on an iced cortado; for cheaper orders like an espresso or drip coffee, it can cover much of the cost of the drink. Why use the Cash Card at coffee shops instead of a card that earns points? Simply, because it’s a much better deal. 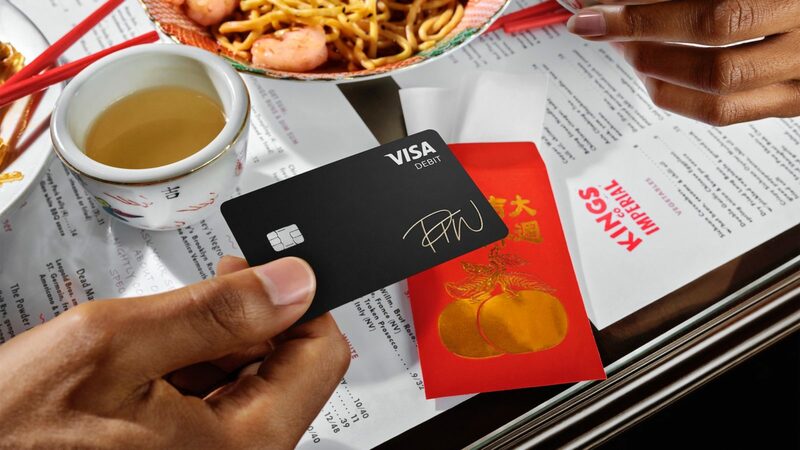 Most coffee shops are considered restaurants, so I’d typically pay with the Chase Sapphire Reserve, which earns 3 points per dollar on dining purchases. A $5 purchase, then, would earn 15 Chase points. I consider Chase points to be worth around 2 cents each, so that’s 30 cents worth of points — about 6% back on my $5 purchase. I’ll happily take the $1 back from the Cash Card instead, which represents 20% back on $5. It’s worth the caveat that the majority of my coffee spending is at fancy indie coffee shops or smaller chain-ish places like Stumptown, where the loyalty system is still a punch card. What if you’re a Starbucks regular? If so, you’re probably already heavily invested in the Starbucks card, including mobile payments, pre-ordering in the app, earning “stars,” and auto-reloads. It’s possible to double-dip here if you want: I just used the Starbucks iPhone app to load $10 onto my Starbucks card using the Cash Card, and got $1 back. As I mentioned earlier, the Cash Card also has Boosts available at a few restaurants and at Whole Foods, where you can earn 10% back, up to $7.50. If you shop there regularly or visit the salad bar for lunch, that can be a great deal. For bigger grocery purchases, you might be better off paying with a points card, such as the Amex Gold Card — but that’s another article. One more note: You can only have one Boost selected at a time, and you can only use a Boost every 30 minutes. So you have to remember to go into the Cash App and toggle back and forth between the Whole Foods and coffee Boosts before you pay. It’s easy to see how the Cash Card could end up saving you a few hundred dollars a year with these Boosts. The point, of course, is to get you in the habit of paying for all sorts of things with the Cash Card, and to use the Cash App as your primary payments tool. But for now, I think of it as my caffeine equivalent of a gas card, mostly used via Apple Pay. If you’re interested in trying the Cash Card and Cash App, here’s my refer-a-friend link to get started.